Muscat, the capital city of Oman, is a spectacular locale filled with modern wonders and cultural intrigue. It is considered a global city, but has much natural splendour to experience. These enigmatic creatures are known to be social and playful and aren’t perturbed by the presence of humans. Some species in particular, such as Spinner Dolphins, are known to perform acrobatics much to the wonder of anyone who happens to witness it. When it comes to a Muscat sightseeing adventure, a dolphin-watching tour is one of the most essential ventures, and can easily be organised by any type of accommodation you might be staying at such as Al Falaj Hotel. This is the ultimate enhancement to a dolphin watching tour, and it usually comes at no extra cost since the mask and snorkel are provided free of charge. If you wish to speed through the water with some flippers, those might come at an extra cost. 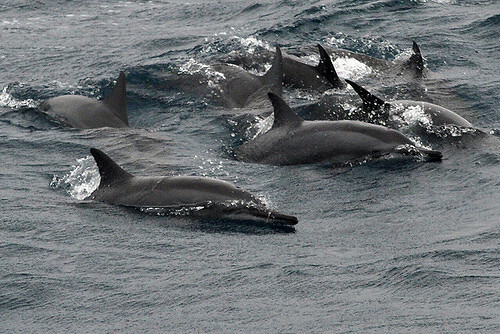 There’s a wide variety of dolphins that can be sighted around the waters of Muscat but three of the most likely species to be glimpsed are Bottlenose Dolphins, Common Dolphins and the legendary Spinner Dolphins.